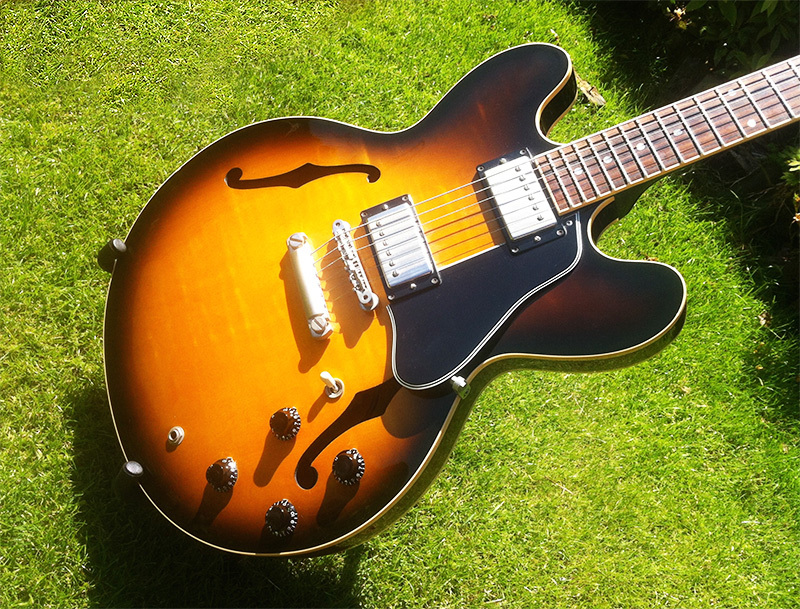 Such a lovely day today, I thought I’d snap some outside photos of this ES335 dot I’ve been working on. 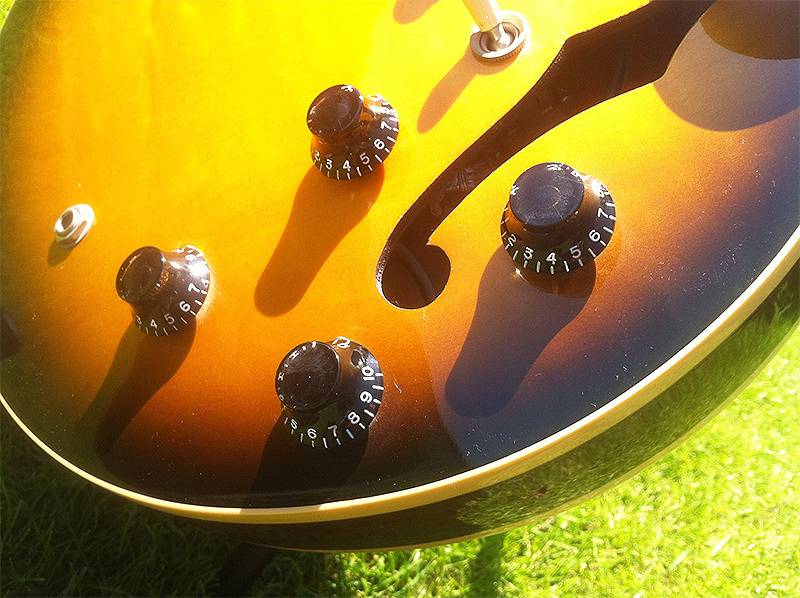 The Gibson ES-335 is the world’s first commercial thinline archtop semi-acoustic electric guitar. Released by the Gibson as part of its ES series in 1958 (the ES stands for electric Spanish), it is neither hollow nor solid- instead, a solid maple wood block runs through the center of its body. 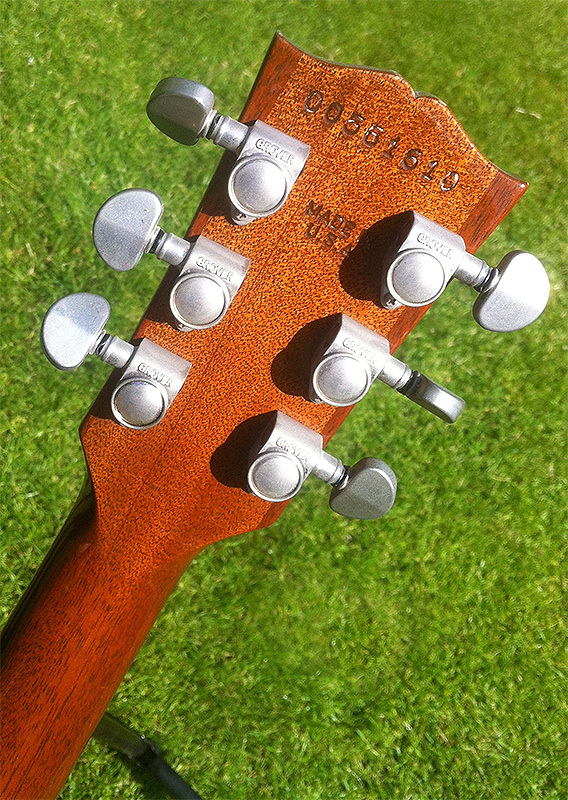 The side curves are hollow, and the top has two violin-style f-holes over the hollow chambers. 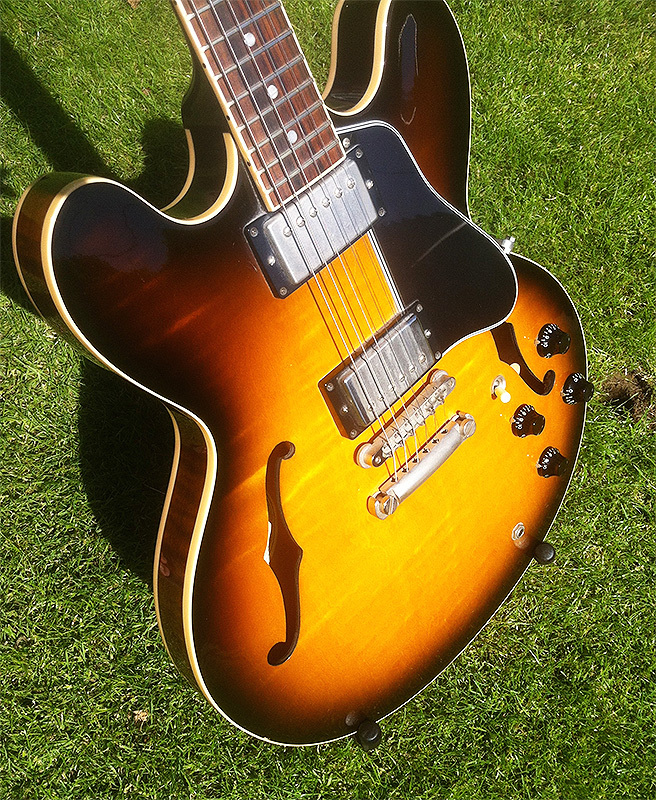 In 1958 an ES335 would set you back $267.50 which according to Inflation Calculator equals $2,153.23 in today’s money. 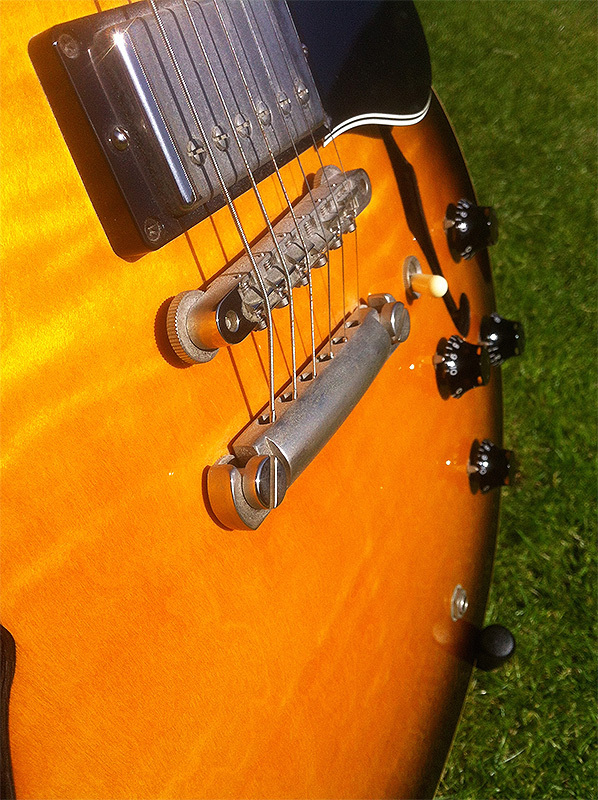 If you buy a new one in the UK you’re looking at $4,000….. Interestingly a new Les Paul Standard in 1958 was the same price. Electric work on these models is a real pain as there is no easy access to the pots. Everything needs to be dragged out of the F holes or through the pickup cavities. Quite frankly it’s a luthiers nightmare. 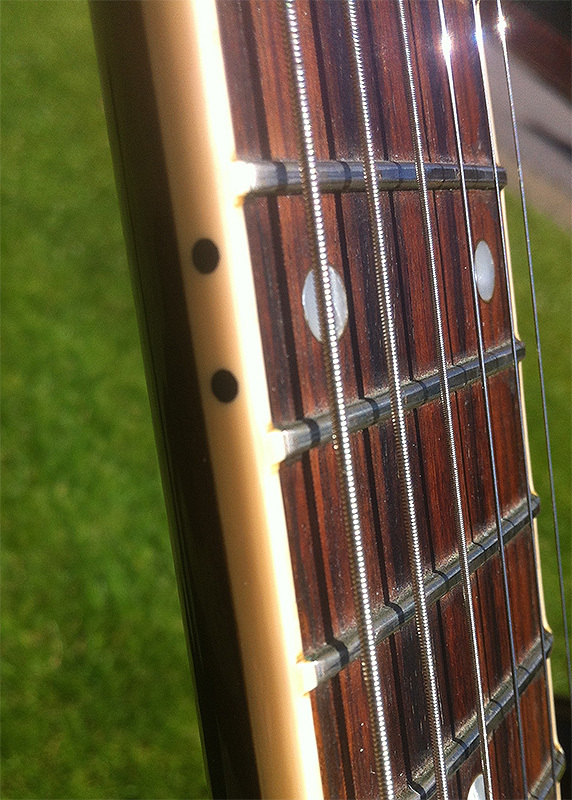 Here’s a side shot of the fret edge binding nibs. 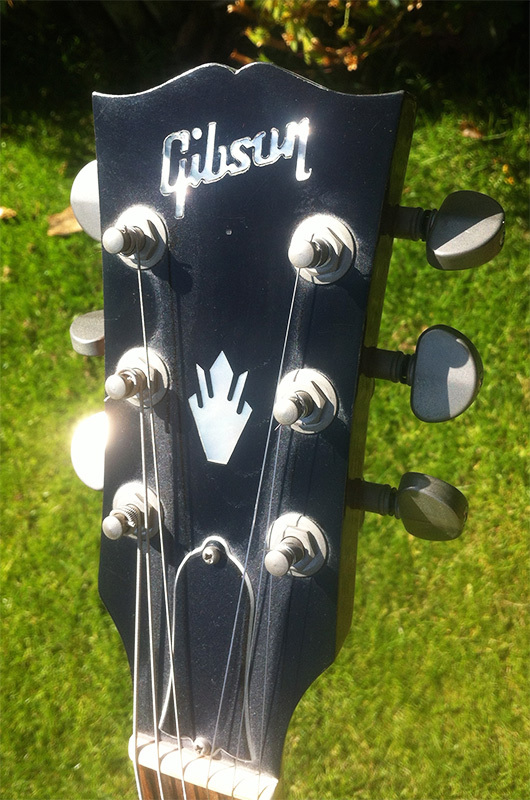 Word is Gibson is doing away with their fret edge nibs on all the current standard models. No doubt to save $£$£.